Porter Sculpture Park. Porter Sculpture Park is located just off Interstate 90 in the South Dakota Drift Prairie, about 25 miles west of Sioux Falls. 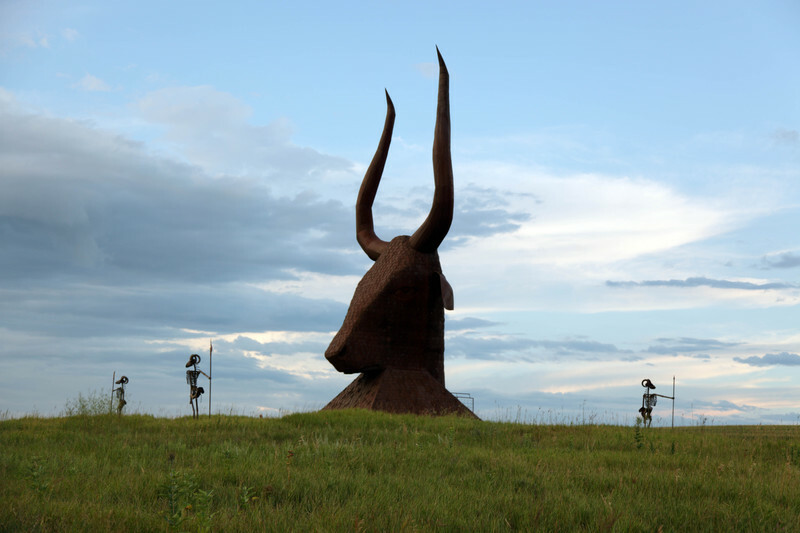 Many of the sculptures, in the style of industrial art, were made with scrap metal, old farm equipment, or railroad tie plates.